A liquid highlighter in shimmer tones to brighten the complexion for a radiant, dewy glow—from daylight to sunset. 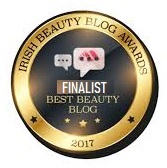 Infused with the award winning Touche Éclat formula, Hyaluronic acid, Vitamin E antioxidants, and golden pigments to eliminate signs of fatigue, plump your skin, creating a fresh and dewy, shine-free, flawless complexion. 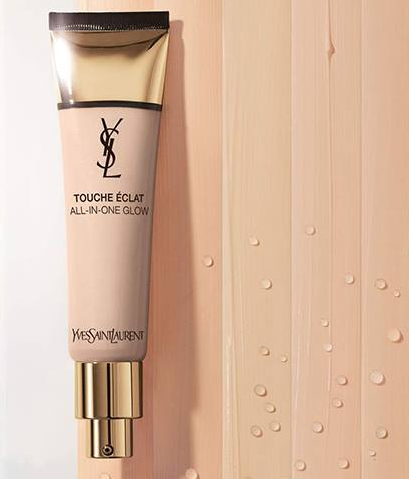 Suitable for all skin types, it provides a super-fine medium coverage leaving a uniform veil of liquid light, a concentrate of micro pearly particles that forms a consistent glow. 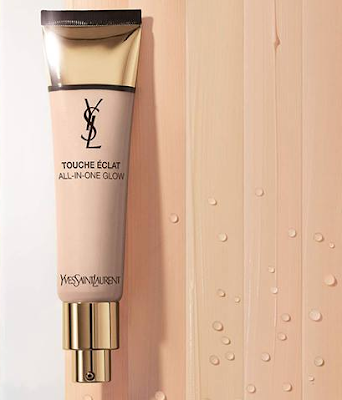 Get a luminous dewy finish, with a long-lasting, ultra-light hydrating texture that feels fresh and soft all day long. 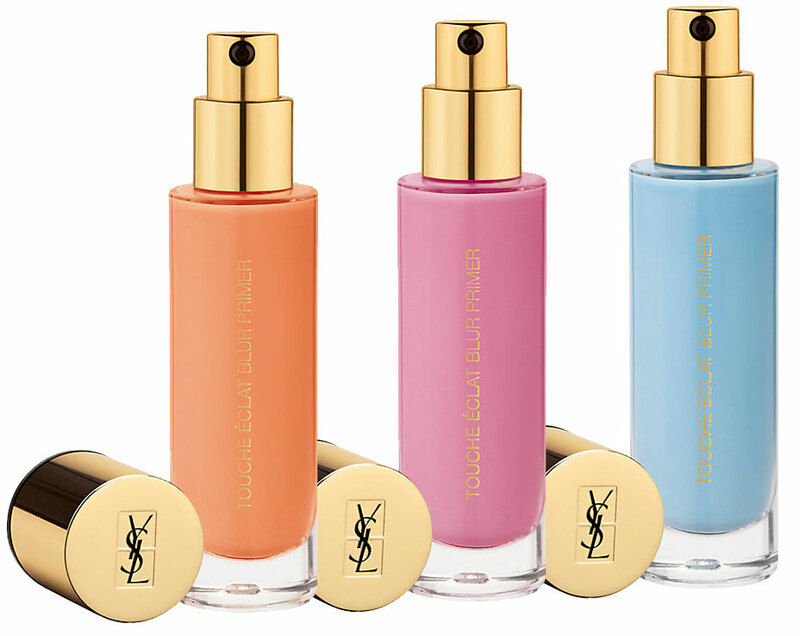 The ultra-fine illuminating micro pearls give your skin a beautiful glow without the glitter effect. 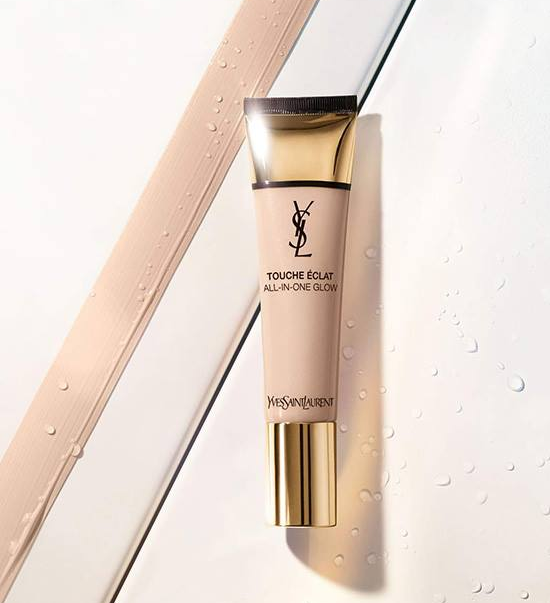 Available in 12 shades, can be used either as a refreshing tinted moisturizer, as a lightweight foundation that provides a more natural coverage, or in combination with your preferred matte foundation – if you want a natural glow on certain parts of the face with a mattified t-zone. 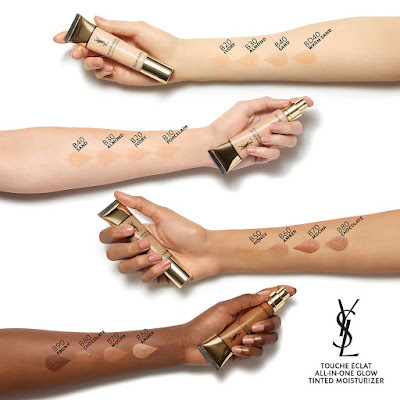 Which up and till now available in a single shade (a blend of oils and illuminating pigments) now arrives in three different shades to counteract on skin concerns. The innovative primer relies on an advanced blur technology that illuminates the skin in three ways to brighten skin tone, and help create an ideal complexion. 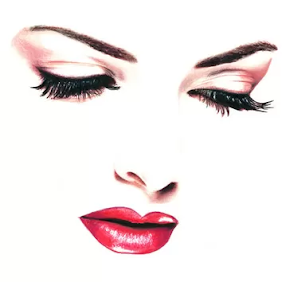 The product can be worn on its own, to refine the appearance of the skin, or under foundation to boost its radiance. 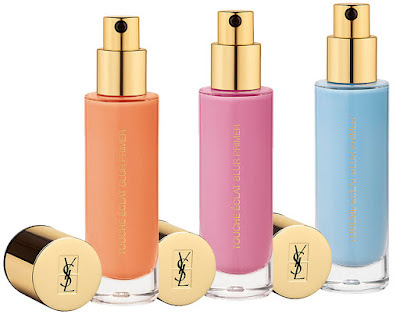 Available now from YSL Beauty, SephoraSephoraand exclusively at John Lewis (foundation only) available nationwide from 7th March 2018.